The respiratory system usually works like a well-tuned machine. A network of muscles, tubes and sacs work in harmony to take oxygen from the air and send it to the circulatory system, where the oxygen feeds all the cells of the body. The respiratory system has some surprises, too. These fun facts about the respiratory system will have you shaking your head in wonder at how the human body works. 1. Children who breathe through their mouth are more likely than others to develop a lisp. 2. Over time, breathing through the mouth can actually lead to shrinkage of your jaw, which can then result in crooked teeth. 3. It is natural to change sleeping position every 30 minutes, mostly due to the body’s need to keep air flow balanced through both nostrils. 4. You should never exercise to the point where you have to keep your mouth open in order to breathe. 5. When you breathe with your mouth open at night, your bladder tends to shrink. That’s why you might have to get up to urinate so often. 6. When you begin to hyperventilate, you might become very hungry and your body will certainly become more acidic in the tissues. 7. The nose filters air through four distinct stages. When you breathe through your mouth, you bypass these stages. The result is more illness, such as sore throats and ear infections. 8. Asthma can be alleviated or somewhat changed by adopting different methods of breathing. 9. When you inhale through the nose and exhale through the mouth – as many relaxation techniques as you to do – you are messing with the balance of carbon dioxide. Rebalance your body by holding your breath. 10. Breathing isn’t as much about bringing in oxygen as it is about pushing out carbon dioxide. In fact, room air only has about 21% oxygen, and the body only needs 5% on a regular basis. 11. Most people can hold their breath between 30 seconds and one minute. The world record for breath holding is a whopping 22 minutes. 12. When you are at rest, you might breathe between 12 and 15 times per minute. A newborn, however, breathes between 30 and 60 times per minute. 1. 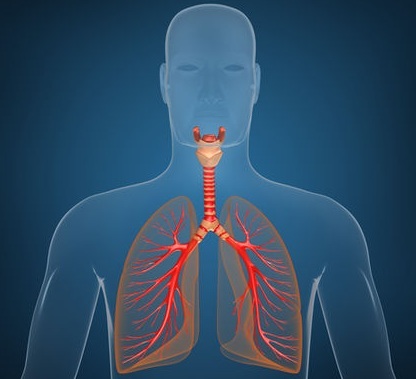 The lungs contain structures like balloons, known as alveoli. There are an amazing 300 million of them in your lungs. 2. The alveoli take the oxygen from the air and switch it with carbon dioxide. 3. If the alveoli were inflated, they would make the lungs the only human organ that could easily float on water. 4. Sometimes the “lung float test” is used during autopsy of a baby. If the lungs float, the baby was alive long enough to take a breath. If the lungs don’t float, the baby died before birth. 5. Your heart needs room in your chest, so the left lung is naturally smaller than your right. 6. If your lungs were completely flattened out, including every small alveoli, they would be the size of a tennis court. 7. When the brain senses the lungs need more oxygen, it triggers the brain to create a yawn. This brings in more air. 8. “Lung” means “light” in 13th century European languages, which probably referred to the weight of the organ. 9. Many people go through life with just one lung. It might keep them from having as much physical ability, but it doesn’t affect their quality of life otherwise. 10. During the day, your right nostril seems more predominant; during the night, it switches. 1. A sneeze is the body’s natural mechanism for clearing out the irritants in the nose. 2. A sneeze can send those irritants flying out of the nose at up to 10 miles per hour. 3. The common cold is caused by 200 different viruses, and those viruses can survive on a surface for up to three days. 4. More than one billion people each year wind up with the common cold and that’s just in the U.S.
5. When you cough, droplets can travel up to three feet. 6. Hiccups can be caused by numerous things, but the most likely culprits are eating too fast or having occasional spasms of the diaphragm. Where Is Mucus in the Upper Respiratory Tract Produced? Hiccups After Surgery: Why and What to Do?